Thank you to everyone who made it possible for all our Youth Groups to meet on Sunday, November 18! It takes parents, clergy, and other parishioners working together to make these meetings happen and it should be very clear: we are very thankful for everyone’s support! We will continue our book club format for the December meetings, set for December 16. 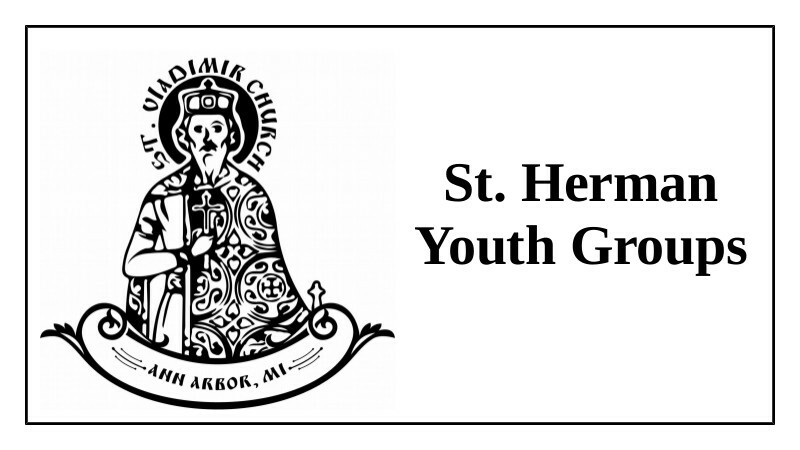 Find the information about the next meetings at the links below, especially and importantly the reading assignments (teens – through p. 136 of Everyday Saints and 9-12 Year Olds: through the end of the St. Herman of Alaska book). There is no Church School this Saturday due to the Thanksgiving break, but this is still a good time to register for Church School! We will meet next at St. Vladimir's on Saturday, December 1. SEE YOU THEN AND THERE! 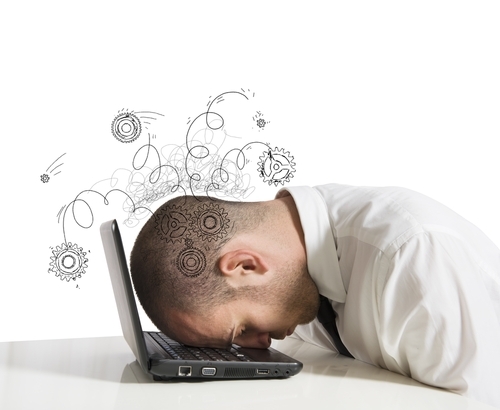 Google decided to change its algorithm for sending group emails yesterday and so none of our email lists are presently working. We are on this and hope outsmart Goggle's best efforts soon. :) Thank you for your patience in the interim. Please continue to check here and our Facebook site for the latest announcements. Please forgive the inconvenience. 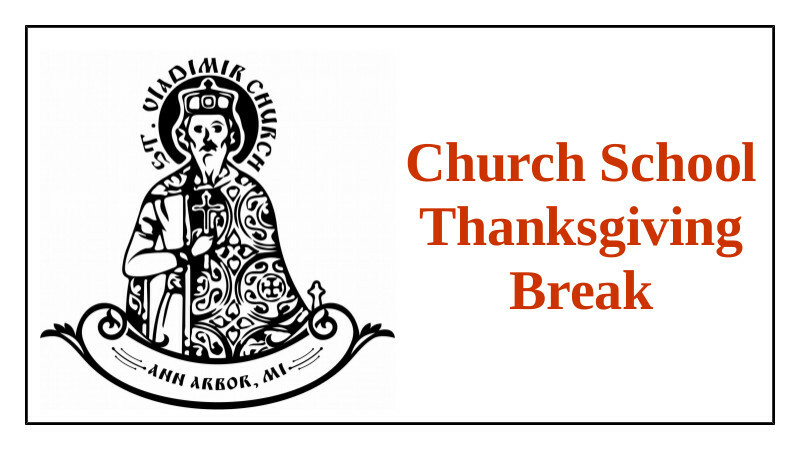 We congratulate all our St. Vladimir's family and friends with the Thanksgiving Holiday. This civil holiday - very Christian in its character - reminds us of our need to thank God for His many blessings upon us. May we humbly suggest, before you sit down to your family dinner today, that you take a few minutes either privately or as a family to thank God for the many blessings He has given you this past year, and for the many blessings He has given to our parish family. We are privileged to call you all brothers and sisters in Christ, and we thank God for you and for our parish family. Happy Thanksgiving! Most of us, thankfully, do not have to work on Thanksgiving. Which means we don't have to wake up early. 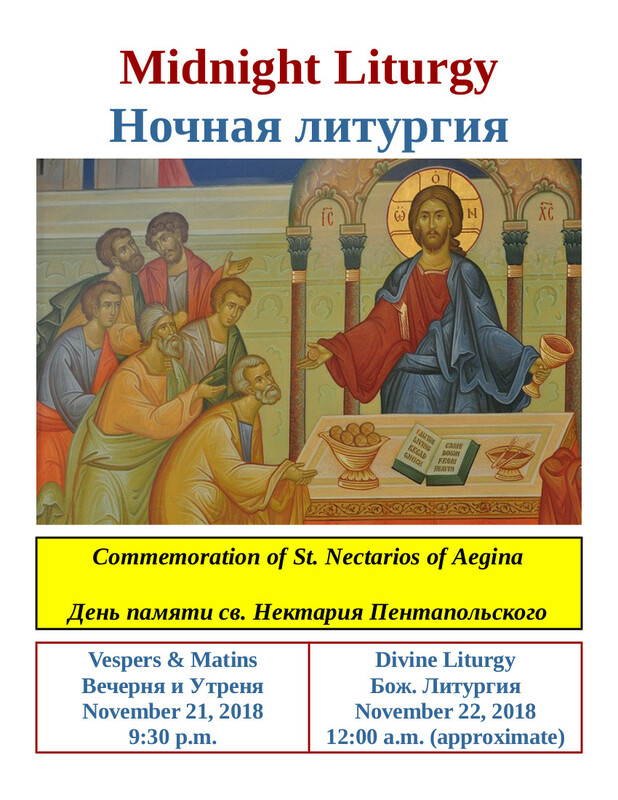 Which means we can stay up late and participate in this special Divine Liturgy. 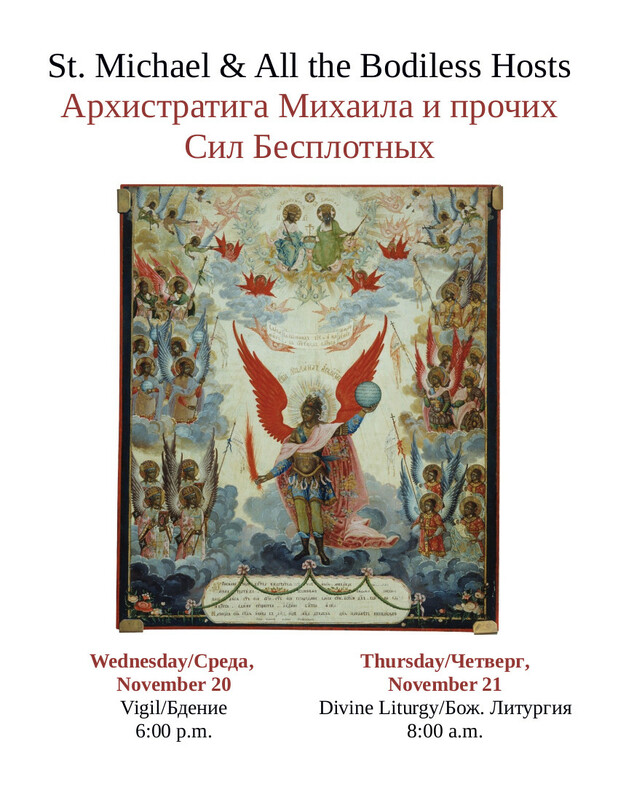 Those who do not have family to spend Thanksgiving with, or who are unable to be with that family, are welcome to our Starosta’s home for the feast. Jack & Sveta Mitchell welcome you, BUT, they need to know you are coming so they can be prepared. :) Please visit the link below and provide a few small pieces of information so they know you are coming, how to contact you in case they need to, etc. Dinner at the Mitchell’s begins at 5:00 p.m. Happy Thanksgiving to all our parish family! And a huge thank you to Jack & Sveta for opening their home to our St. Vladimir’s family! St. Michael & All Angels Tonight & Tomorrow! Matching Grant Challenge – We Made It! 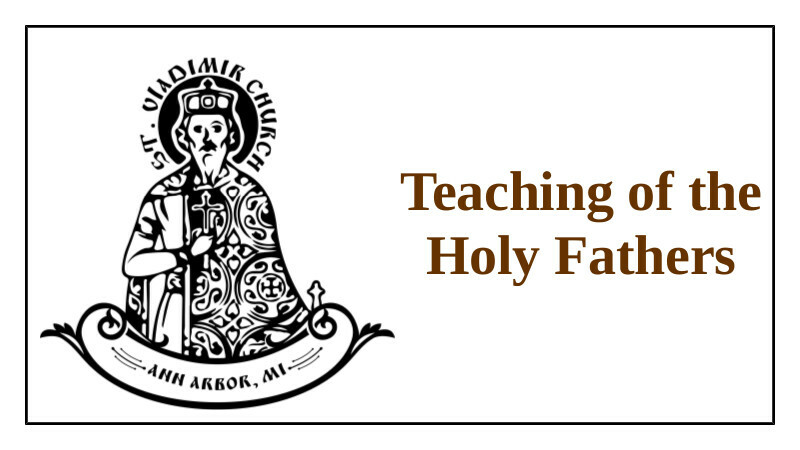 Thank you to all who made donations to the St. Vladimir General Fund during the one-week $5,000 matching challenge. 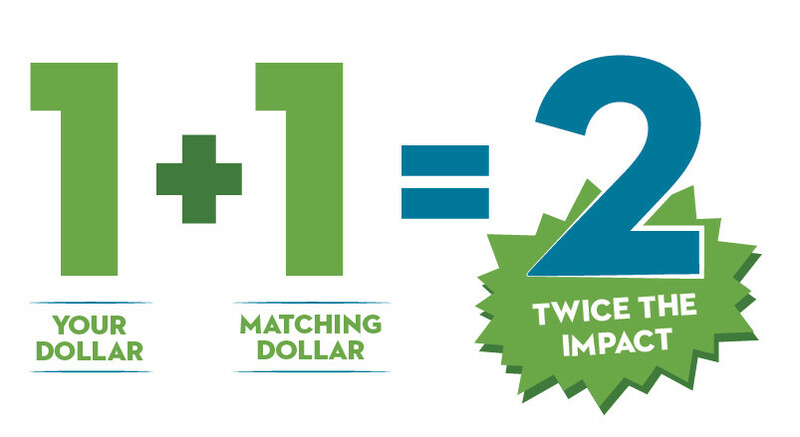 One of our parishioners generously volunteered to match every dollar up to $5,000 donated to our General Fund from Sunday, November 11 through Sunday, November 18. In total the General Fund received donations of $5,661 during this time. Thank you to all who made it possible to meet this challenge, and thank you to our parishioners who volunteered to fund the match!